Hey, I am back and wanted to share a couple pics of the costumes I made for Halloween. Ok, the Dorothy costume was actually made for Purim last year, but I did make another one in October as a custom order. 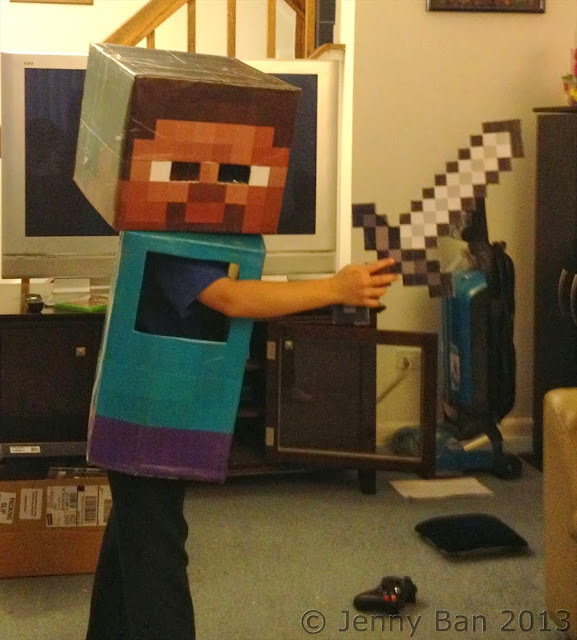 Minecraft Steve was definitely a different type of challenge for me. Thanks to some free printables and YouTube instructions (and a lot of cheering-on from my family), I was able to pull it together for my avid video gamer. It was well-worth it to hear the crowd at the school Halloween parade when he walked into the gym (parade moved indoors due to rain). I was also smart/lucky enough to cover the whole thing in clear contact paper, which saved it when it started to get wet during trick-or-treating. 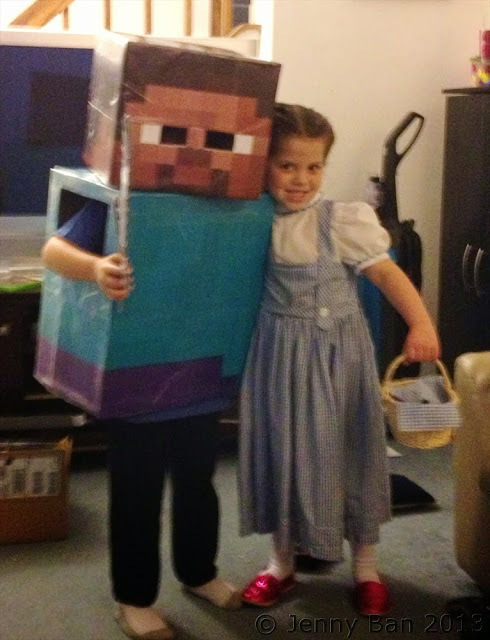 My favorite part of the Minecraft costume? A smile in every picture! A Muse Studio fans--check out my Sale Page! Don't miss the 24-hour Cyber Monday sale of 10 stamp sets ranging in price from $1 - $10! These will sell out, and there are no back-orders on these sets, so get your order in early. If you are local to the Chicago area and want to pick up your order, please let me know in advance what you want. I will place the order first thing on Dec. 2, and divide the shipping among the group to save you even more money! I hope to be popping back in with more projects to show off, as time allows. Right now I am off to work on knock-off party dresses for my daughter and her American Girl doll. Hope to have these done in time for Hanukkah!